Publishing in early November 2017, this app is for candidates of the Cambridge English: First (FCE) for Schools exam, which is set to the same level (B2) as the FCE but with texts that are appropriate for a school-age audience. As with the other Academy apps, there will be a massive amount of expert-produced, exam-styled practice content (1,000+ individual assessments) covering Parts 1-4 of the Use of English section of the exam. FCE Academy for schools will be available as a Lite version for free download from 1st November 2017. Michael Macdonald qualified as a teacher in Cambridge and currently lives in Madrid, where he is Director of Studies for Prosperity English, an English language-teaching academy focused on preparing candidates for Cambridge examinations. He is the head of content at Prosperity Education and lead author of the Academy suite of apps. How long have you been an English language teacher and why did you become one? I would consider myself to have a vocation for teaching. Originally, I trained in Cambridge as a Music teacher, working in the classroom at secondary level and also as a peripatetic. Moving to Spain and teaching English seemed like a great adventure and when I started learning more about English language teaching and realised how transferable my formal training could be, I knew it was for me. I gained as much experience as possible working for schools and academies in Madrid and soon found my teaching skills and method in demand. I set up my own academy, Prosperity English, teaching corporate English in companies and also teaching other language teachers how to improve both their English language and teaching skills. How did you become involved with the Prosperity Education apps? I approached Tom O´Reilly, an educational publisher based in Cambridge, with the idea of putting the Use of English section of the Cambridge ESOL exams into a simple app format. I wanted to create an intuitive teaching tool that users could learn from as they practised. Tom had the experience and technical knowhow to bring this to market in a mobile app format. 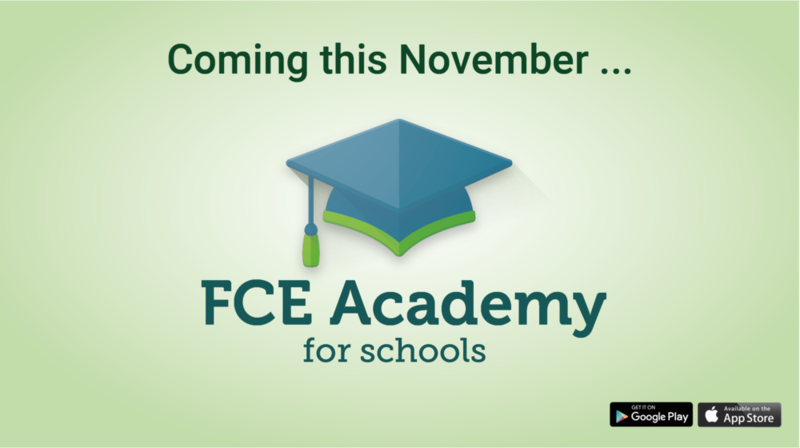 In less than three months we had our first release, FCE Academy for Android. There is just not enough good quality material out there, and the material that is available is very costly. But you need lots of practice material to really get to grips with the exam format and language contained in the Cambridge exams. One Cambridge book of past papers costs anywhere from €25–€60. Given how many exam texts are contained in these apps, we have managed to create something that, in content terms, would cost around €500 to buy! Is there a part of the Cambridge exam that students find particularly difficult? The Use of English part is always considered the most difficult, but that´s because students can´t find enough practice material! Of the four parts covered in the apps, Part 4, ‘Key word transformation’, is probably the hardest for candidates. Repetitive practice is the key to mastering this section of the exam, and for this students need lots of exam-quality tests. Can you describe the FCE and CAE Academy writing process? From the outset, we decided that the quality of the apps would have to be very high, both in the design and the content. We agreed that the user experience should be as close to the Cambridge exam as possible, both in the format of the assessment and the quality of the texts themselves. FCE Academy and CAE Academy feature 108 and 112 exam texts respectively, which means more than 1,000 individual assessments in total per app. This was the golden number we agreed on. We decided to triplicate the texts so that the user will see the same texts in parts 1–3 but with different items assessed in each. The pedagogical model is based on users’ ability to recognise lexico-grammatical elements of the text because, as they work through the app, they are actually becoming familiar with them, and therefore they actively and passively learn structure and grammar, collocation and general vocabulary. Working through so many texts you realise that many of the patterns in such tests repeat and this is the key to answering Use of English questions well in these exams. Once we had decided upon our approach to teaching in this simplistic, yet effective way, writing the draft texts was a straightforward, albeit lengthy, process. I wrote short, interesting articles and then analysed them to ensure I was including appropriate language points for each assessment level. This was where the hard work came in. Many books and databases had to be cross-referenced to ensure we were including elements that the user would encounter in the exam, and then the draft articles had to be revised to accommodate this. The next stage was to have the texts reviewed independently by Cambridge writers and examiners and to implement their feedback. We then tested the texts using real-life classes in which we knew there were students of certain levels who had either already passed a Cambridge exam or who were just about to sit one. We looked at how they performed while using the new material and took on board their feedback to fine-tune each text. At this point we finalised the list of texts we’d include in the final app before starting the development stage. A final review of the texts was made during development by a selection of teacher and student testers working with beta versions of the apps. Again, feedback was taken in and some minor revisions made to the content prior to publication. What have been the biggest difficulties of the writing process? Without a doubt, this would be ensuring the question content was appropriate for the Cambridge exam as the content required at each exam level is very specific. Thankfully, I had lots of help with this, through the independent, student and peer reviews, as well as excellent editorial support from the publisher. One thing that I hadn´t really thought much about before writing the texts was the need for cultural sensitivity. Because Cambridge ESOL is worldwide we need to be careful not to include polemic subjects, or items that might offend a particular faith. For example, historical pieces, conspiracy theories or even articles that reference alcohol could cause offence and so cannot feature in the exam. What advice would you give to someone about to sit the FCE or CAE? Buy the app! Complete it all and try to get in the head of the people writing the exam questions. You should start to see patterns and this will really help you when it comes to your own exam. Are you writing anything else at the moment? We have just finished the CAE Academy app, which has been pretty intense. The plan is to produce Academy apps for other Cambridge exams, for example, Proficiency (PET), and also a version of FCE for schools. Longer term, we will publish for other English exams, such as IELTS. I am always working on new courses for Prosperity English, my language academy in Madrid. We do specialist-training courses for businesses and for teacher training classroom assistant training. I will be preparing over the summer for the next round of those classes starting in September 2017. What advice would you give to an English Language teacher who has an idea for a learning resource? Teachers always spend a lot of energy on resources and many of these are shared in our community as a matter of course. However, if you really think you have a great idea, write it down, think it through, and refine and improve it. Speak to like-minded people and get an objective feel for its worth. My best advice would be to go for it, which is so easily said, I know. But if you think you have something that fits and fills a need, then do it. Be aware of how much work is involved, though, and realise that, if you really want to get a Class A product, you will come in for some stiff criticism along the way. 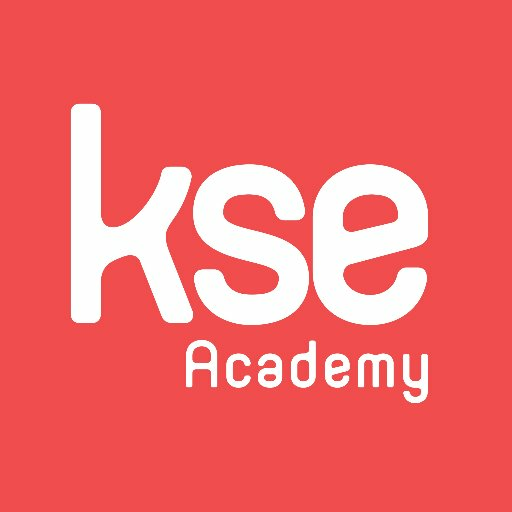 Luis Porras Wadley, Director of Keep Smiling English (KSE Academy), has written a comprehensive review of the FCE Academy and CAE Academy apps. This is a critical, unbiased and informative review, which is all we want. Pleasingly, for us, our apps come out very well here! You can read the English review and the Spanish review, and they have also recorded an excellent walk-through video (Spanish). By the way, we're showing off all our reviews on our website, here. Hot on the heels of FCE Academy and its 8000th download comes CAE Academy, the best CAE revision app available. Just published on GooglePlay and the AppStore. Try it out for free and see what you think. Psst, wanna see our new app, CAE Academy? Looks pretty good, we think. We're testing the app on Android now and we expect to publish in a few weeks - just in time for some last-minute revision for the June CAE examinations. If you'd like to join our band of testers, fill in this simple form and we'll get in touch. If you have an Apple device, you can still sign up. The iOS version will be ready soon. This time last month we were proud to announce our 2000th download of FCE Academy from Google Play. Well, we just checked and we have hit 3,000! That's 1,000 new FCE learners benefiting from our app in the space of a month. Which makes us very proud. Add to that 1,860 downloads from iTunes, and we should soon hit 5,000 users. Which will make us even prouder. At the beginning of the month we began advertising for teachers to review the texts for our forthcoming app CAE Academy. We've had a great response and the first part 1 and part 2 texts have just been sent out to our reviewers. But we could still use more opinions - please do sign up here if you would like to see some of our texts. We're working hard on our next app, CAE Academy, and hope to publish it in April. We're looking for ELT teachers who would like to review the app for us once it is published. You can sign up here. On the form, you'll see an option to review our texts. If you tick this box, we'll send you some Word documents for your review. We've just had our 2000th download of FCE Academy Lite on Google Play. Yay! Work on CAE Academy is underway, and we're finally ready to reveal the list of our texts. Our expert reviewer has given her opinion, and now we are editing and getting them ready for inclusion in the app. If you would like to see some of the texts, why not sign up to our mailing list? We'll be in touch with some samples.